If you spend a lot of money on a car, you don’t want anything to scratch the paint. The problem is that unwanted scratches are inevitable, and unless you keep your car garaged and never drive it, you’ll have to find a way to remove scratches. When problems arise, the best car scratch removers can help. You always have the option of taking your vehicle to a body shop, but you’ll end up paying hundreds of dollars to have a few scratches removed. During the manufacturing process, your car was given a beautiful coat of paint, and the paint is designed to last for many years. Over time, it’s likely that the paint will be damaged by fine key scratches, other drivers and washing brushes. By removing the unsightly scratches, you can prolong the life of your car’s paint and avoid paying money for a new coat of paint. Even the best car scratch removers are affordable products, and most kits come with everything you need to remove a scratch. A typical car scratch remover kit might come with sandpaper, polisher and wax. When shopping for these products, you must be careful because some products only cover up the scratches. All cars come with several layers of paint, and the outer layer is called the clearcoat. Most products will only remove scratches from the clearcoat. Below, you can find reviews for some of the best car scratch removers available. 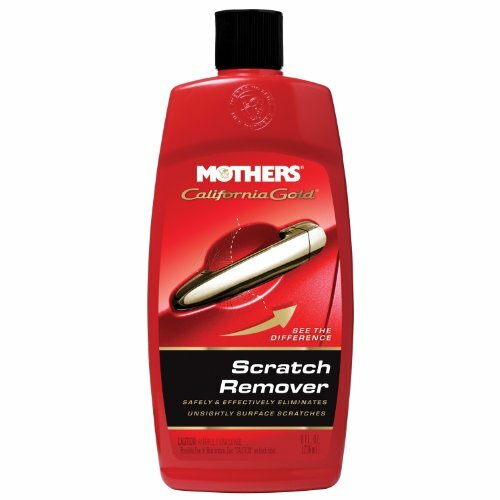 Mothers 08408 California Gold Scratch Remover 8 oz. The Mothers 08408 California Gold can be used on any finish, and it’s capable of restoring paint and removing surface scratches. Once you’ve finished using this product, you follow up the process with waxing and make sure the paint is completely sealed. 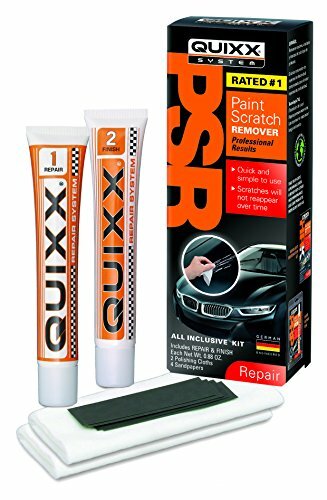 When used regularly, this scratch remover provides long-lasting benefits, and it’s ideal for the areas of your car that are most likely to get scratched. For example, it’s commonly used for the hood latch, keyholes, door handles and trunk lid. The Mothers 08408 California Gold is especially useful for high-mileage paint, and it’s designed to remove basic surface scratches. Unlike some of the alternative best car scratch removers, this product is a true polish, and it’s should be followed up with proper waxing and sealing. The Turtle Wax T-241A serves as a scratch removers and polishing compound. It consists of a heavy paste, and it can clean the dull, oxidized finish on your car. It has the power to quickly penetrate oxidized surfaces and remove unsightly scratches, stains and blemishes. The Turtle Wax T-241A is designed for restoring faded finishes and recommended for rubbing down between different coats of finish. The formula is easy to use and can restore your car’s beautiful finish. When it comes to care products for cars, Turtle Wax is one of the most well-known brands, which is why most consumers trust their products. 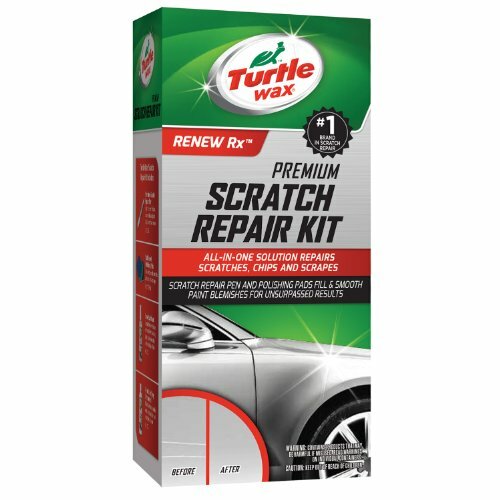 Before you use the best car scratch removers from Turtle Wax, you should know that it rubs down the clear coat, so you’ll want to consider buffing the finish when you’re finished using it. Meguiar’s G10307 ScratchX 2.0 7 oz. The Meguiar’s G10307 ScratchX 2.0 is a popular product, and it can remove the swirls, blemishes and light scratches from your vehicle. It uses a micro-abrasive system to remove the fine blemishes, and it simultaneously restores clarity to the finish. Unlike some of the alternatives, this product actually removes scratches and doesn’t cover them up. Since it’s safe for clearcoats, you can use it on your car and not have to worry about damaging the finish. Depending on your preferences, you can apply this product by hand or use a polishing tool. Before you apply the Meguiar’s G10307 ScratchX 2.0, you’ll need to evaluate your car’s paint surface, and the product comes with instructions that tell you how to do this. The Meguiar’s G10307 compound is best for isolated paint problems, and the micro abrasives are effective at removing light stains, oxidation, blemishes and fine scratches. 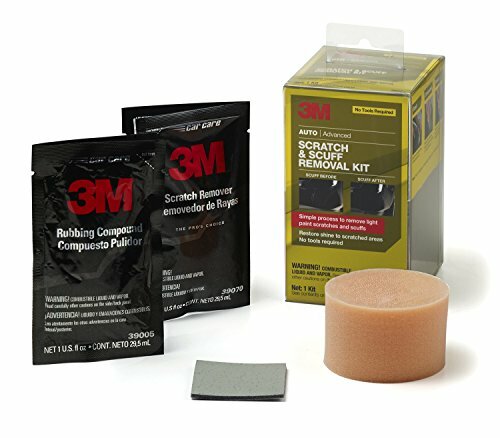 3M 39087 Scratch and Scuff Removal Kit 1 oz. The 3M 39087 scratch removal kit can restore shine to scratched paint blemishes, and it’s also effective for restoring a glossy shine. When used correctly, it will enhance the appearance of your vehicle, and it doesn’t require the use of expensive tools. 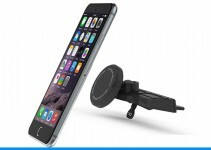 All the included products are safe for your car and engineered to remove unsightly scratches. This kit comes with an abrasive square, scratch remover, foam pad and rubbing compound. You can use it to restore the shine to areas of scuffed or scratched paint, and the 3M 39087 kit can enhance the appearance of any vehicle. Minor scratches are easy to remove with this kit, and when compared with other products, this kit is one of the fastest on the market. You don’t have to spend your entire day using the kit to remove minor scratches. Meguiar’s G17216 Ultimate Compound 15.2 oz. The Meguiar’s G17216 Ultimate Compound is a top product for removing water spots, scratches, blemishes and oxidation. The compound cuts into the finish as quickly as harsh abrasives, and it restores clarity to the blemished finish. Some alternative products cannot restore clarity without causing swirling or scratching. The Meguiar’s G17216 Ultimate Compound significantly reduces the amount of time and effort needed restore neglected or abused paint. 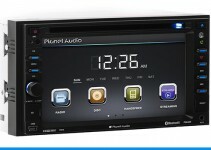 It features micro-abrasive technology and leaves your vehicle finish looking new. With one simple step, this product will leave a glossy finish and enhance the appearance of your vehicle. This product is safe for use on clear coats, and it can be applied by hand or with a polisher. Meguiar is known for the high-quality restoration products that they create, and the Meguiar’s G17216 Ultimate Compound is one of their best. 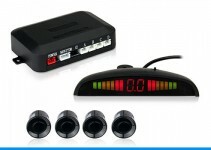 The Quixx 00070-US kit is another option for removing scratches from your vehicle. When used correctly, it can permanently remove scuff marks and scratches, and the blemishes won’t reappear. You can use this product on all types of colors and gloss paints, and it’s even suitable for metallic. With a two-step process, it’s one of the easiest products to use for scratch removal. The process is quick, easy and safe. The Quixx 00070-US kit won’t damage the delicate finish on your vehicle, and it comes with all the pieces that you need to perform the repairs. If you’re looking for an easy way to remove scratches, then this kit is worth considering. The two-step repair system can permanently remove unwanted scratches, and the first step consists of using a compound to remove the scratch. The second step involves restoring the finish to its former shine. 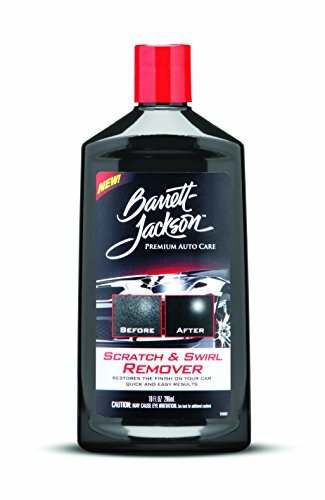 The Barrett-Jackson scratch remover uses an ultra-fine compound to remove swirl marks, scuff marks and fine scratches. When used correctly, this product creates a glossy shine and doesn’t leave powdery residue behind. It’s designed for easy car detailing and can be used on all types of painted surfaces. To use the Barrett-Jackson scratch remover, you must buff it onto the target blemish and wipe it off. The repair process is quick, easy and effective. If you’re tired of scuff marks and scratches ruining your car’s finish, then this product is worth considering. The detailing process doesn’t take long, and it will remove unsightly scratches from your vehicle. 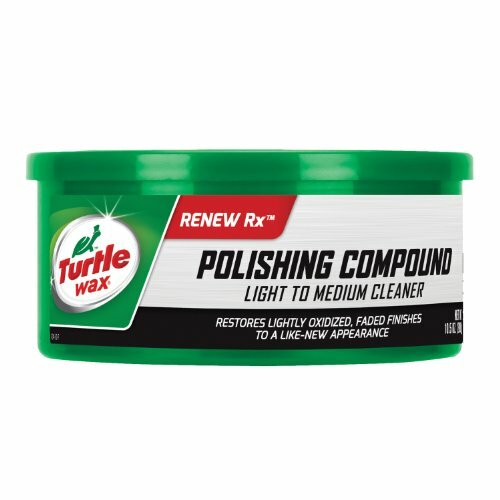 Here we have another popular product from Turtle Wax, and it serves as a complete solution for removing finish imperfections and light scratches. For proper removal of scratches, the Turtle Wax T-234KT kit uses different grit sanding pads, and it’s very effective for deep scratches. If you’d like to get rid of light scratches, you can use the included clear coat pen. The Turtle Wax T-234KT can help you avoid expensive repairs, and it comes with every piece of hardware needed to remove scratches. This product is suitable for small or large areas, and it’s even effective for deep scratches. The repairs from this scratch remover are almost invisible and leave the original paint looking and feeling smooth. The kit comes with a clear coat finish pen, paint clarifying compound, spray lubricant and restoration pads. The Nu Finish Scratch Doctor has been tested and rated by independent laboratory testing, and unlike many alternative products, it doesn’t leave your car with more scratches than it removes. The Nu Finish Scratch Doctor can be used for haze, swirl marks, scuffs and paint scrapes. Although it’s very effective on cars, it can also be used on airplanes, motorcycles, chrome appliances and fiberglass boats. This product comes in a convenient inverted bottle, and it can even be used to remove deep scratches. The Nu Finish Scratch Doctor is designed for a variety of applications, and it’s one of the best scratch removers on the market. The removal process doesn’t take long and can be completed quickly and easily. The Formula 1 scratch remover is an advanced micro-polisher, and it’s capable of removing swirls marks and fine scratches. It can even remove haze from your vehicle’s clear coat. This is without a doubt one of the best car scratch removers. Once the compound has been applied, you can watch the scratch fade away with every stroke. 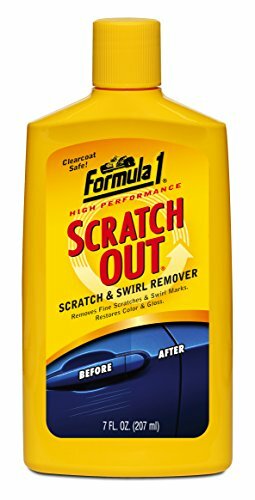 The Formula 1 scratch remover is great for doors and hoods. If you’re looking for a way to renew your car’s color and look, then this product is worth considering. It uses a non-abrasive liquid car wax and fills in unsightly scratches. After the Formula 1 compound has been applied, you must use circular motions to spread it evenly over the target areas. It doesn’t require professional tools but delivers a professional shine.